Disney magic on a smaller screen. 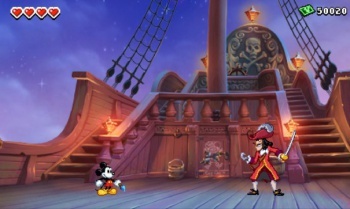 In addition to playing Epic Mickey 2: The Power of Two at New York Comic Con, I also got my hands on Epic Mickey: Power of Illusion. 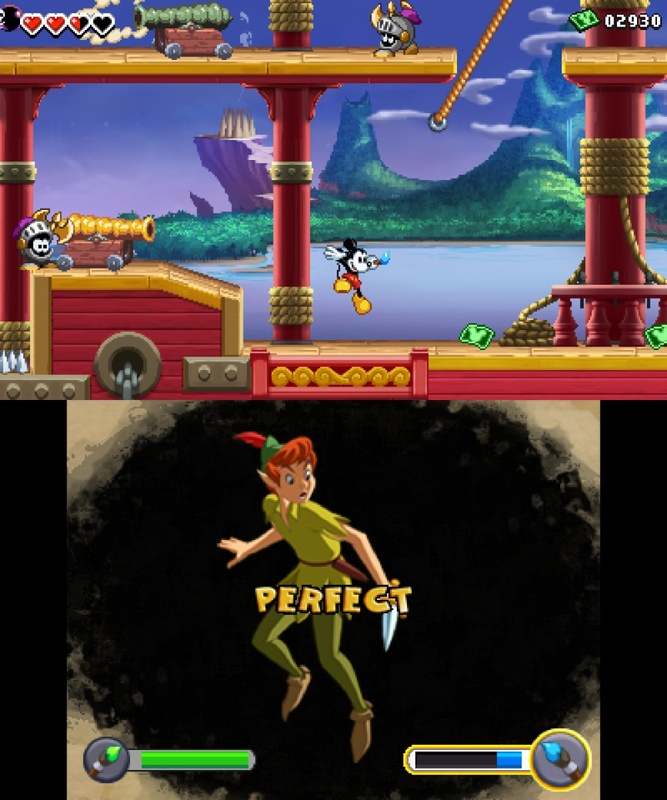 The 3DS title was described by designer Warren Spector as being inspired by "pure, simple" 16-bit platformers, and the influence is very apparent in the 2D side-scrolling gameplay. 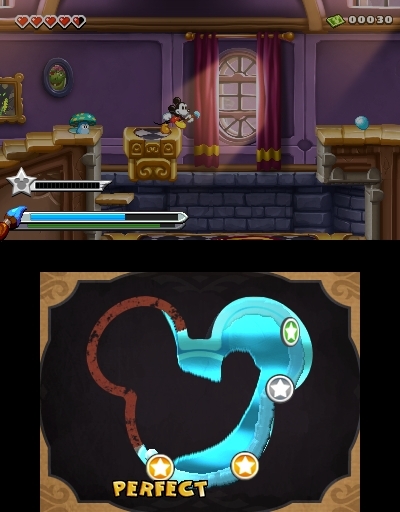 Like Epic Mickey and its sequel, Power of Illusion is also filled with references to Disney's creative history, with Mickey on a quest to rescue lost Disney characters from the Castle of Illusion. 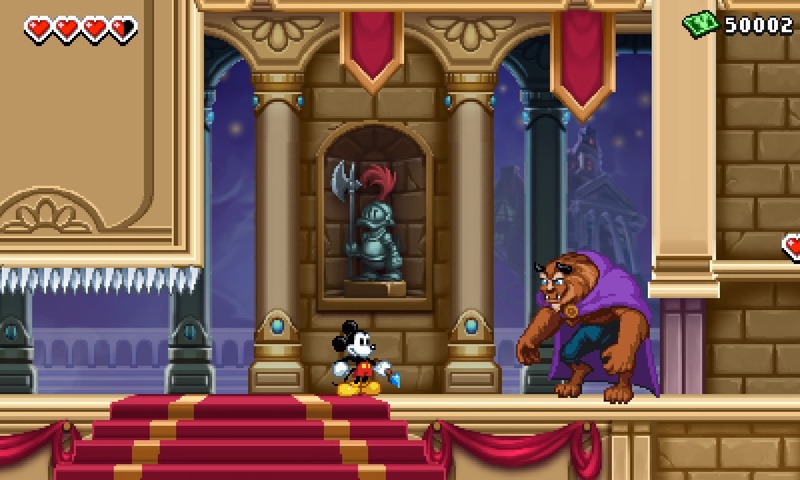 If that sounds familiar, it's because Power of Illusion features elements of Castle of Illusion, a 1990 Sega Genesis game that had Mickey Mouse on a quest to defeat an evil witch. 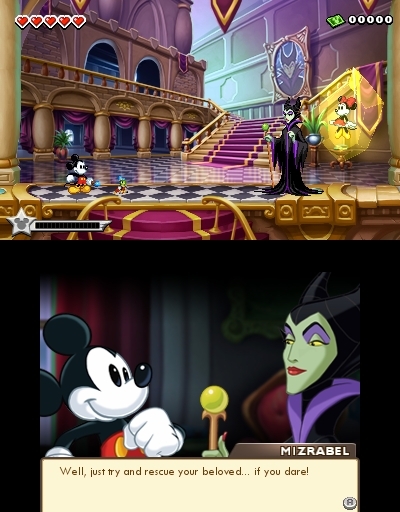 Mizrabel the witch and her castle are back in Power of Illusion, only this time, they're in the Wasteland, with familiar faces like Peter Pan, Goofy, and Scrooge McDuck trapped inside. 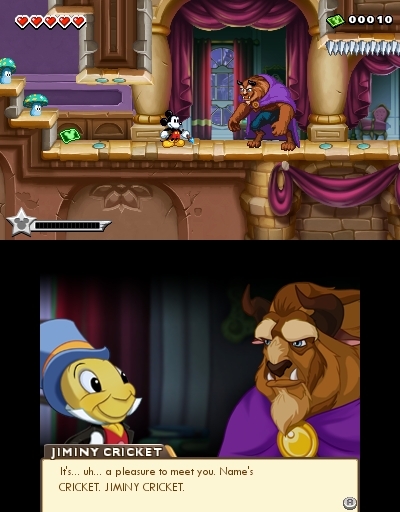 Rescuing these characters allows them to be used elsewhere in the castle, with the player completing sketches on the 3DS touch screen to unleash the character's special abilities. 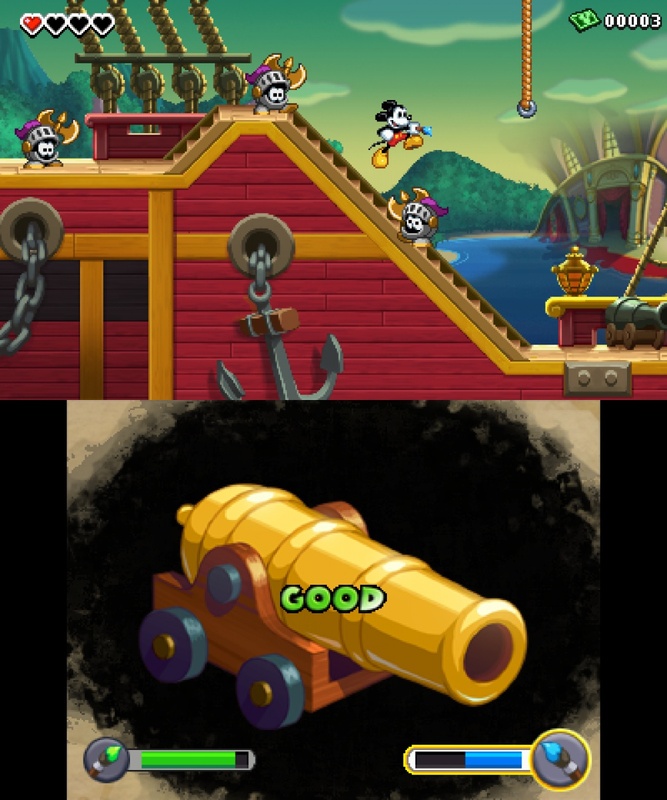 The touch screen is also used to disperse the paint and thinner that are hallmarks of the Epic Mickey series. 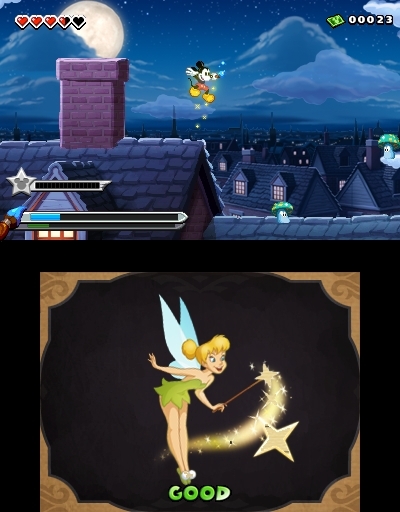 Players will utilize the bottom screen to fill in or erase items so that they can continue to explore the Castle of Illusion. 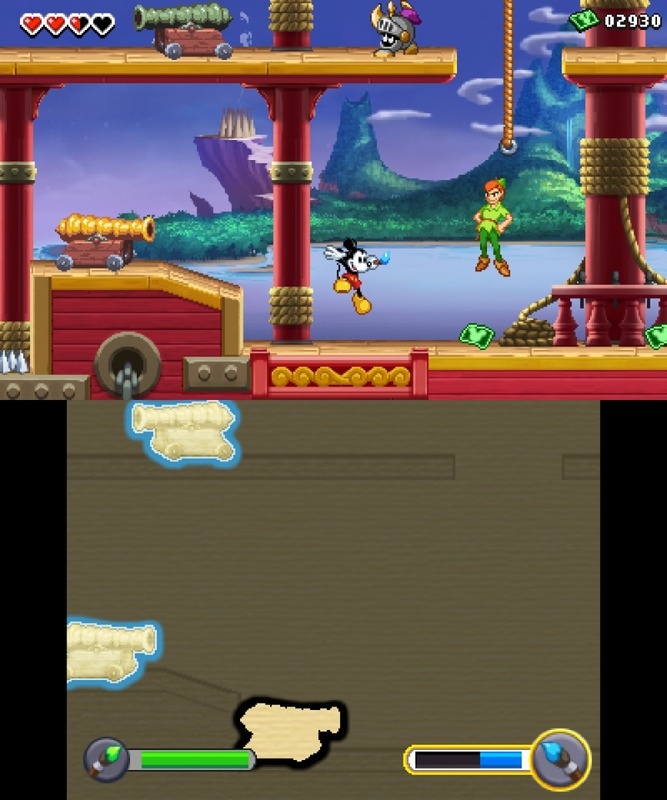 The platforming controls are simple and intuitive, and Mickey's spin attack from the console games is also present in the handheld iteration. The use of actual assets from animated movies is a great touch that adds to Power of Illusion's authetic Disney vibe. Each room in the castle takes the form of a different Disney animated movie, with environments from The Little Mermaid, Beauty and the Beast, and Peter Pan being just a few. 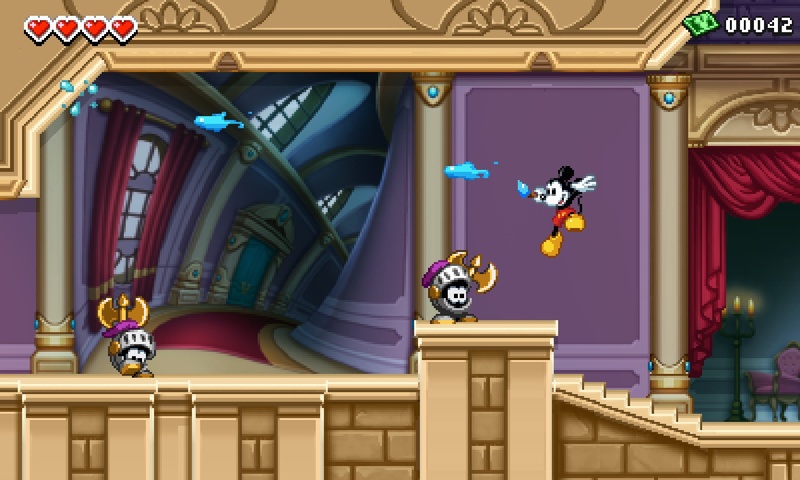 Rescued characters can help Mickey on his quest and upgrade his abilities, as well as making new quests available. Though my time with Power of Illusion was short, it left me wanting more. 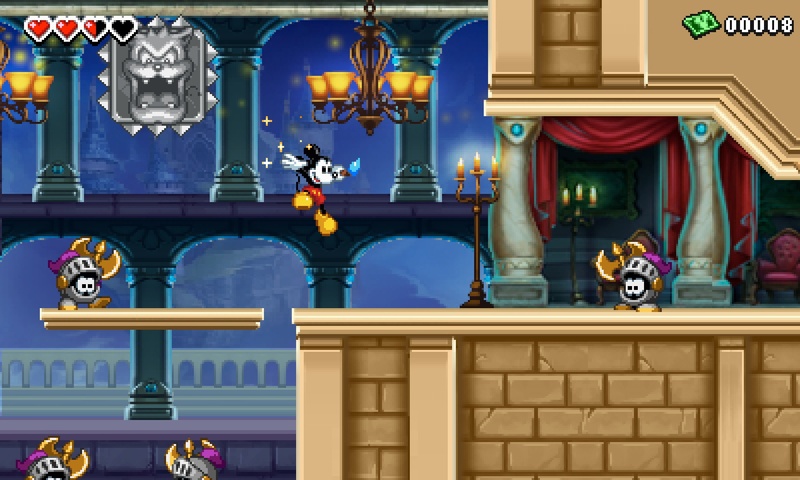 It's definitely a nostalgia trip for those of us who grew up watching Disney movies and playing old-school platformers, but it also seems like a great game in its own right. 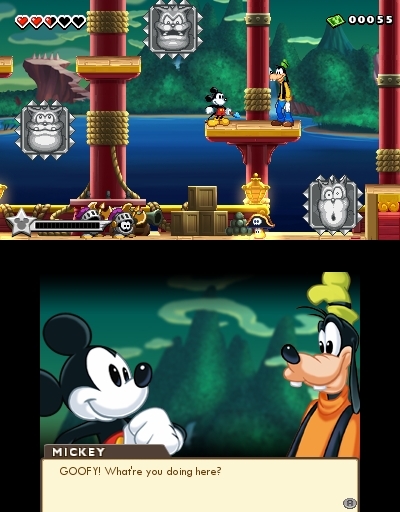 The 3DS is a good fit for the title, with some creative uses of the touch screen and the 3D screen to bring the Disney characters to life. 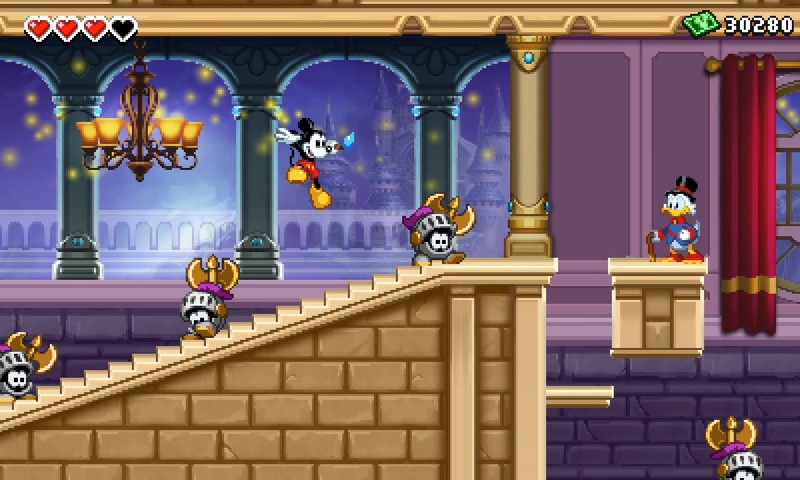 Power of Illusion will be out on November 18, the same day as Epic Mickey 2, and it's shaping up to be one of the most promising 3DS games yet.